Chuck Berry has announced his first new album in 38 years on October 18, the day he turned 90. Titled Chuck, the 2017 release will be “comprised primarily of new, original songs” and was recorded “in various studios around St Louis”. The rock and roll legend said in a statement: “I’ve worked on this record for a long time. 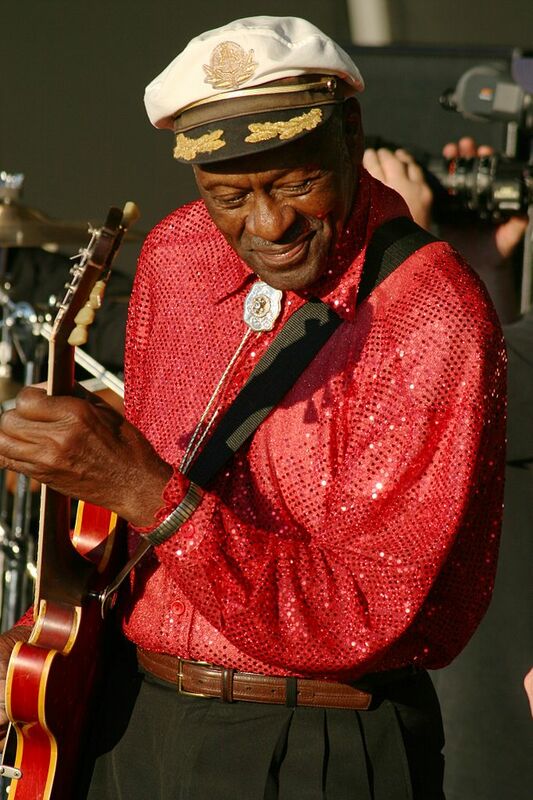 Chuck Berry said the record was dedicated to Themetta “Toddy” Berry, his “beloved” wife of 68 years. Two of the veteran musician’s children, Charles Berry Jr. and Ingrid Berry, will be heard on the album playing guitar and harmonica respectively. Other longtime members of Chuck Berry’s hometown backing group – among them bass player Jimmy Marsala and pianist Robert Lohr – will play on the disc. In a career spanning seven decades, Chuck Berry has released a string of classic songs such as Roll Over Beethoven and Johnny B Goode. Chuck Berry received a lifetime achievement Grammy in 1984 and was among the first inductees to the Rock and Roll Hall of Fame in 1986.